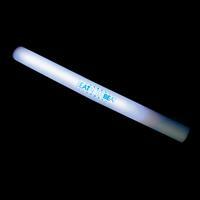 This light-up foam stick is great for schools, concerts and outdoor events! Put your logo on it and light up the night! Foam stick is 15 3/4". Available in multicolor (S90077X), white (S90078X), pink (S90081X), blue (S90080X), green (S90079X), and red (S90082X). 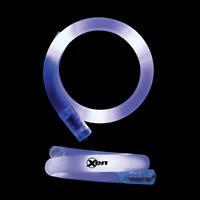 This blacklight foam stick is great for schools, concerts and outdoor events! Put your logo on it and light up the night! 4 color process decal wrap. White ink not available. 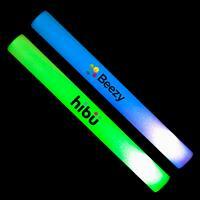 This blacklight LED tube bracelet is perfect for schools, concerts, parties and night time events! Put your logo on it and light up the night! One color and one location imprint only. 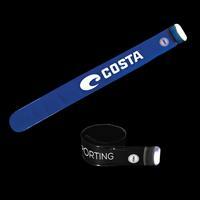 Our slap bracelets come with a flashlight! A unique product for all ages. Add your logo and hand out at tradeshows and events. One size fits all. Available in black (S16270X), blue (S16271X), and red (S16272X). 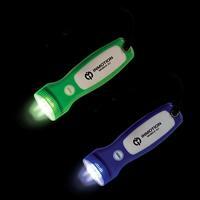 Our flat blacklight flashlight is a nifty little gadget that also has a magnet and wrist strap! A unique way to light up your next promo. Add your logo and hand out at tradeshows and events. Also great for working on your car! Available in assorted only. Your logo will light up your next promotion! 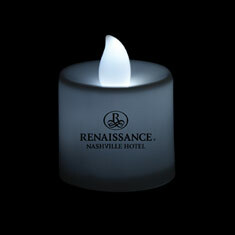 Our LED candle is great for restaurants, parties & night-time events. On/off switch. What a brilliant idea! Choose these flashy promotional products for your next marketing campaign and watch your logo shine. Formed of plastic and measuring 2 3/8" they're fun for children of all ages. The shimmering colors makes them ideal for theme park gift shops and school fundraisers. Use as a tradeshow giveaway or during a starry evening celebration. 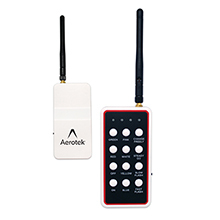 6 blinking modes. This Remote Controller works with our Remote Control Activated LED Bracelets (item # S90100X ) and together they make the perfect party accessory. 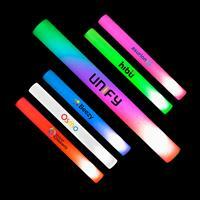 When used with the bracelets they light up in 6 different colors and have 5 different blinking modes. Great for concerts and outdoor events. Put your logo on it and light up the night! 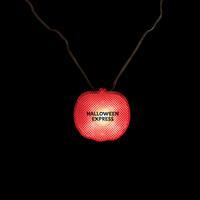 This festive pumpkin light-up strobe necklace is fantastic for Halloween related events and parties! Put your logo on it and light up the night! One location imprint only. This light-up LED tube bracelet is perfect for schools, concerts, parties and night time events! Put your logo on it and light up the night! One color and one location imprint only. 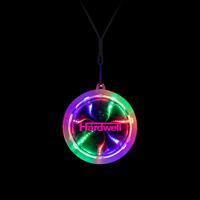 This blacklight light-up disco ball necklace is great for schools, concerts, parties and outdoor events! Put your logo on it and light up the night!